The Air Jordan 1 and the various Chicago colorways that have graced the silhouette always tend to do well amongst sneakerheads. 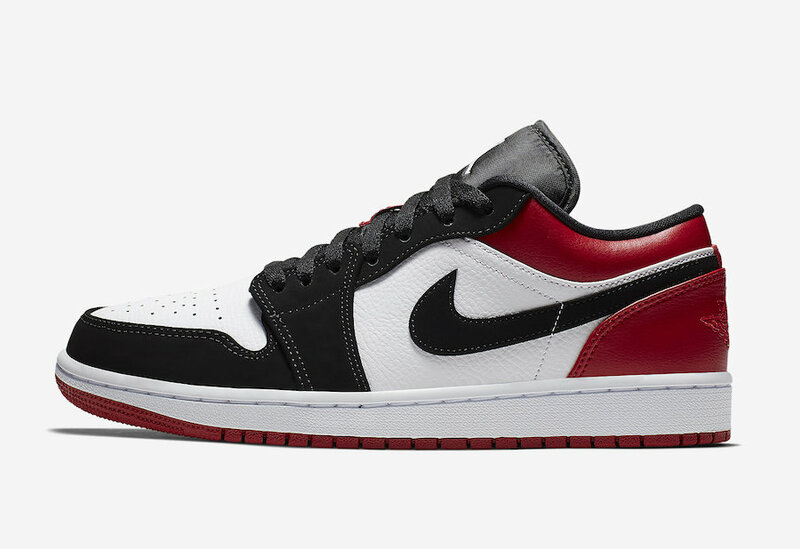 Pair some black, red, and white on an Air Jordan 1 and you have a huge hit on your hands. Well, one of those colorways is the "Black Toe" Air Jordan 1 which was one of those shoes that had Jordan heads drooling just a few years ago. It's not surprising that people have been clamoring for it to come back and it looks as though Jordan Brand will be giving consumers what they want, except instead of the high top OG, it will come back in a low top version. It's true that the Air Jordan 1 low isn't a very popular model but considering the colorway involved, these will most likely be a hit. According to Sneaker Bar Detroit, these will be coming to Nike.com in the next few weeks for a modest price of $110 USD. If you're looking for more of a tennis sneaker with an iconic colorway attached to them, these Air Jordan 1 low's could very well be for you.